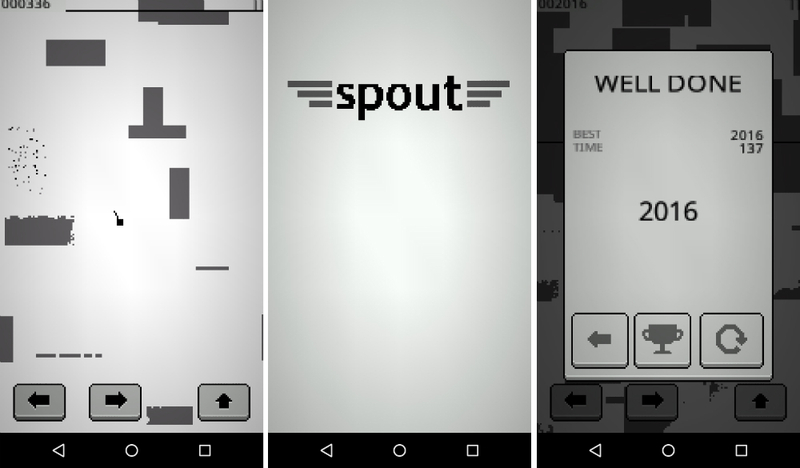 As I was searching through Google Play, I stumbled upon Spout: Monochrome Mission. While the game does not appear to be too new, having launched in late 2013, it plays like a well-developed, albeit simplistic shooter of sorts. In the game, you take control of a rocket ship which blasts out particles. These particles, when pointed in the right direction, can blow objects out of your way. You goal is to make it as far as you can without running into these blocks. However, you must be careful, because when you turn around to blast an object, you open yourself up to running straight into an object behind you. The game is completely free to download, and besides the occasional pop up ad after you die, it’s a pleasant experience. Check it out by following the link below.